In just a few hours, people around the world will celebrate a day of giving. As we kick off our efforts to raise at least $64,000 to start 8 new Saving And Credit Cooperatives (SACCOS) in southern Tanzania, we have been encouraged by those who have already given to this campaign. 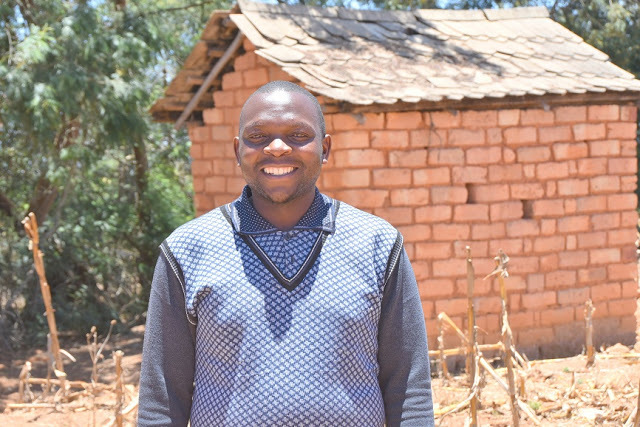 The SACCOS project will enable people like Judson to receive micro loans from their SACCOS. Judson explained that a friend had told him he should join the SACCOS in his village—so he did. He first took out a loan for $150 which he used to rent land and grow potatoes. That year he earned $710. He and his wife started a house, invested some of the money in a business, and saved some. Since then he has continued to take out loans, using them to buy seed and fertilizer or invest in his lumber business. Over the past four years he and his wife have completed a brick home in the country, bought a lot in town where they plan to build another 7-room brick home, bought the family a motorcycle, started and grown a lumber business, bought five acres of land, planting three with trees and two with potatoes. This year he plans to borrow $550 to plant his crop and improve his lumber yard. He tells us that between the lumber business, some trees, and his farm his family will have an income of $4-5,000. He firmly believes that without the SACCOS they would hardly be getting by. Your gift will help Judson's family and others like them escape grinding poverty and improve their lives. Thanks to all who have already given. If you haven't made a gift yet, just click on button below. It is a simple process. You can help us acheive our goal to make a significant impact in the lives of ordinary Tanzanians!